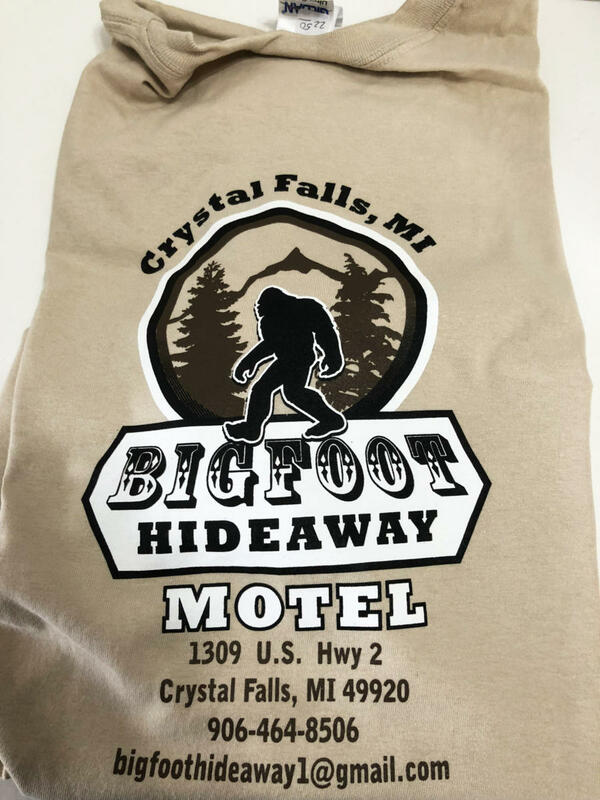  2019 Bigfoot Hideaway Motel Website by North Country Website Design. 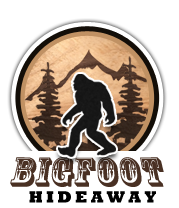 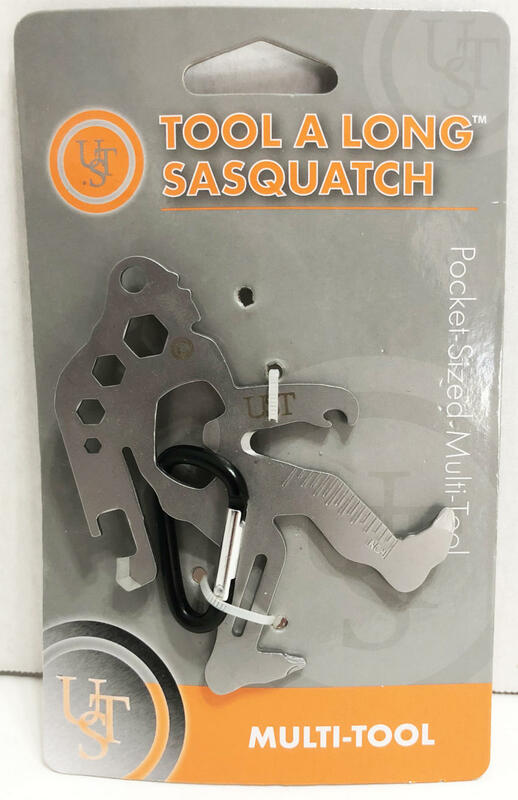 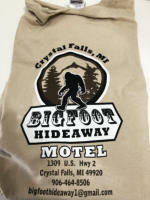 We invite you to bring a little piece of Bigfoot Hideaway home with you. Commemorate your stay with Bigfoot towels or browse our collection of signature gifts and souvenirs. 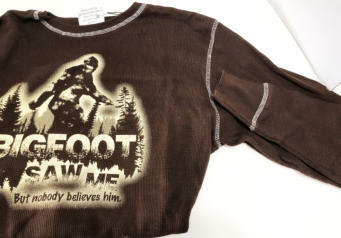 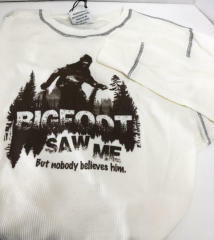 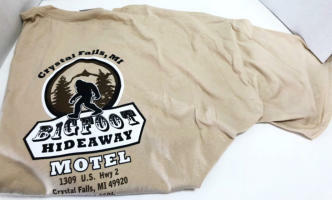 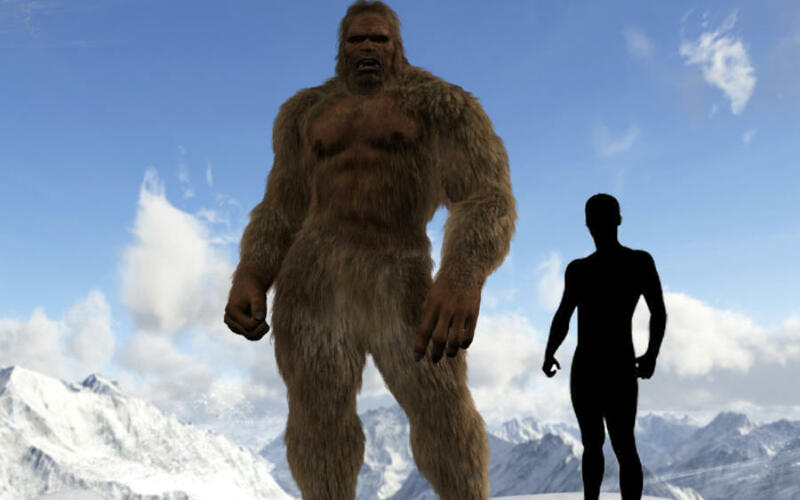 The Bigfoot Gift Shop offers a wide variety of Bigfoot Hideaway t-shirts, sweatshirts, and remarkably cozy slippers. 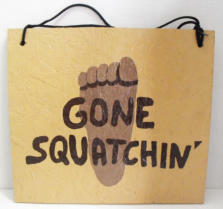 For the little ones we carry an assortment of trinkets, toys, books, and other fanciful memorabilia. 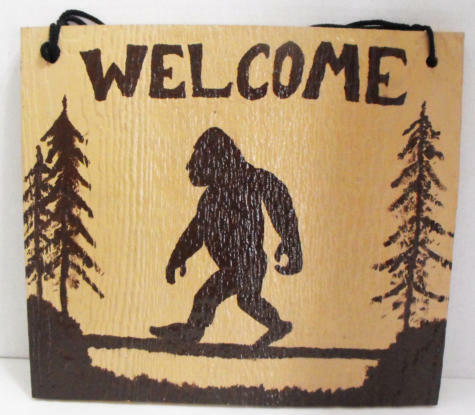 For your convenience during your stay, we have a variety of sundries such as toiletries, aspirin, batteries, phone chargers, and other conveniences are present to ensure your travels are hassle-free. 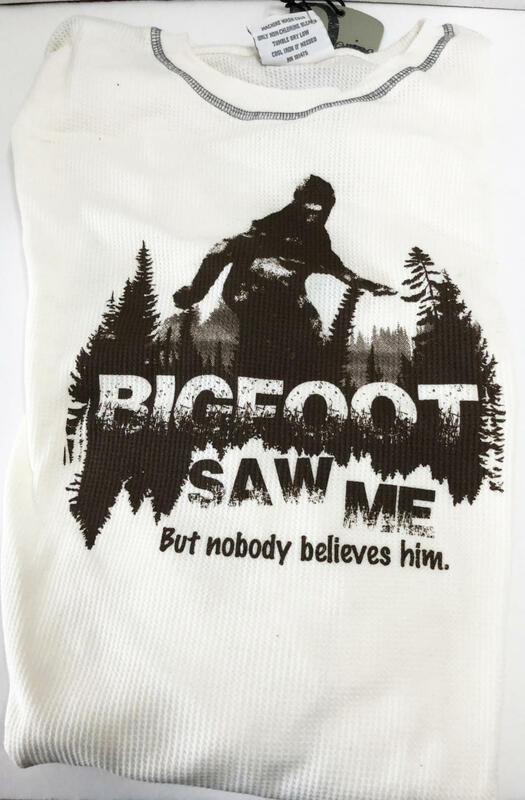 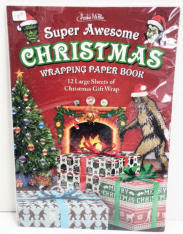 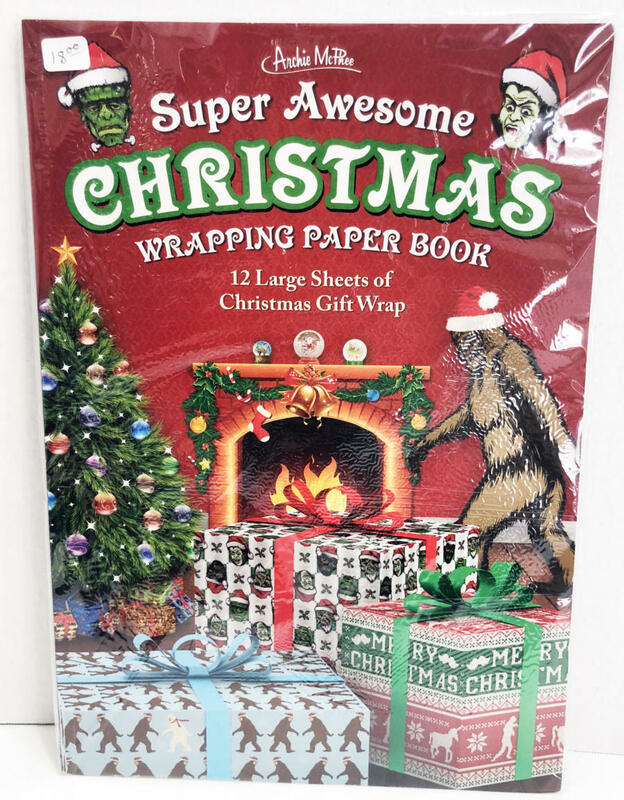 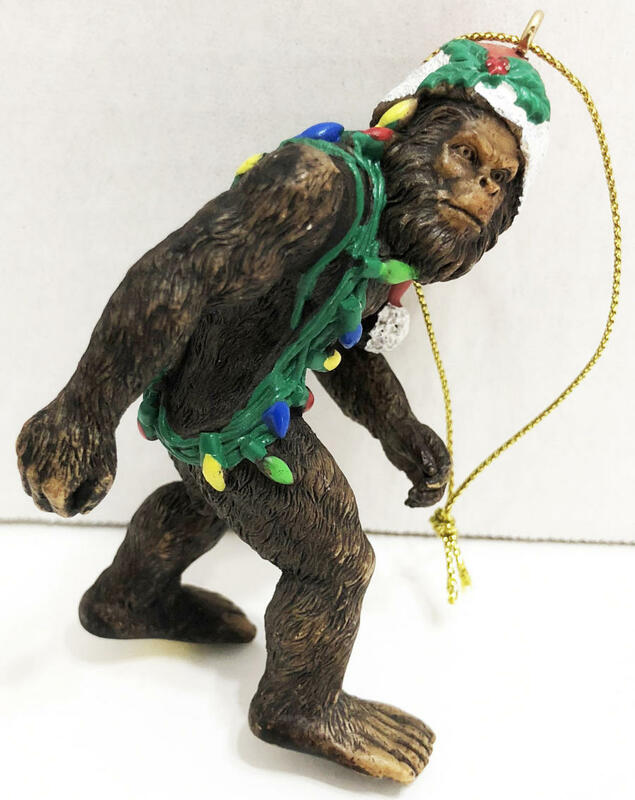 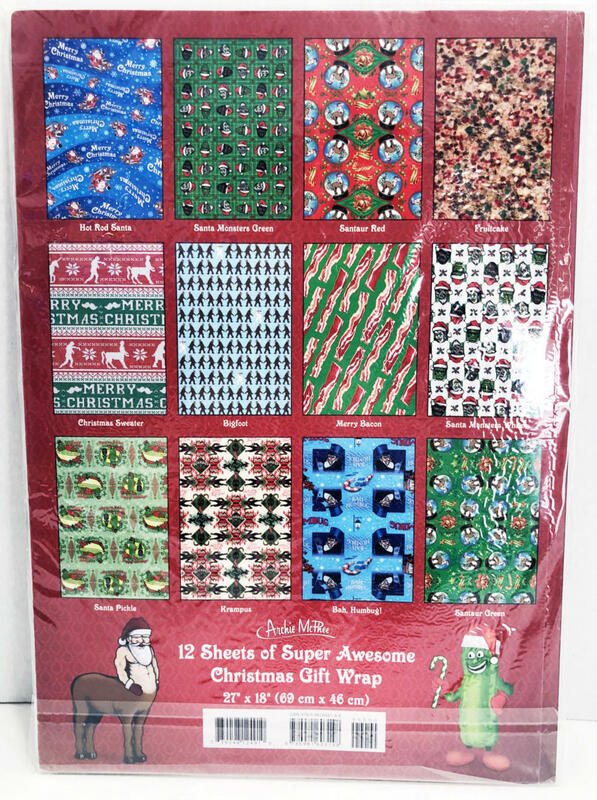 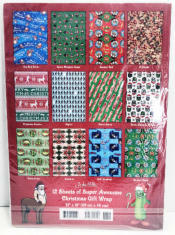 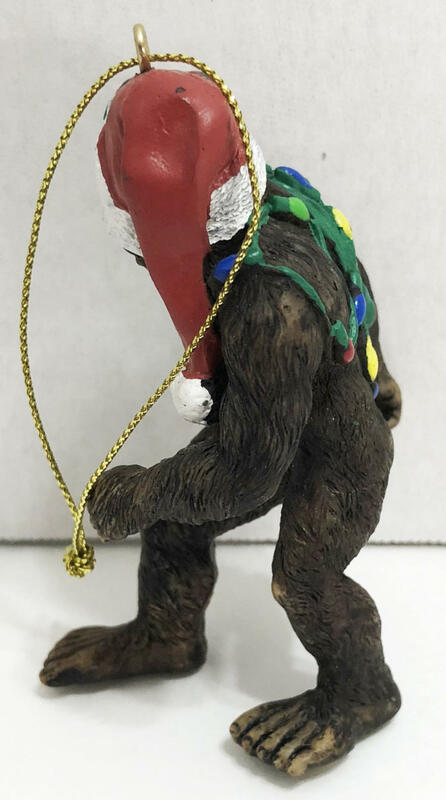 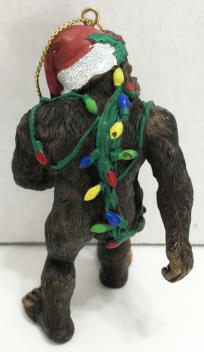 For current prices, contact the Bigfoot Gift Shop . 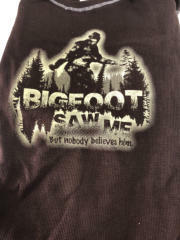 Photo with Bigfoot , Bigfoot Apparel , Bigfoot Souvenirs , Bigfoot Signs , Bigfoot Walk , and S’more Experience . 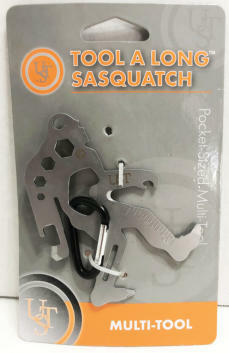 Coming in the 2019. 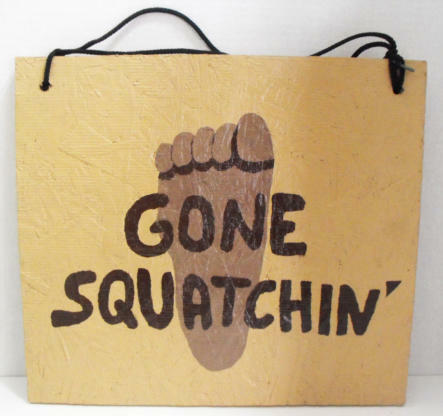 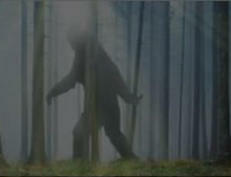 Go for a walk to look for Bigfoot on our Bigfoot Walking Path. 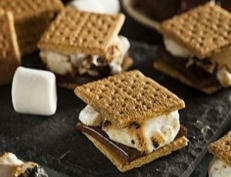 Enjoy a campfire, cook s’mores, and have fun. S’more supplies available in the Bigfoot Gift Shop. 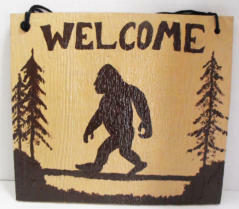 Wood for campfire available at no charge when staying at the Bigfoot Hideaway Motel.